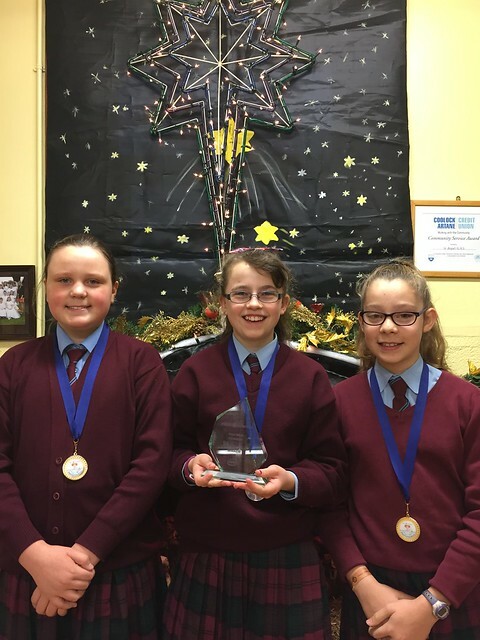 Well done to our 6th class pupils Victoria Leder, Lorena Tome & Katie Kent who recently participated in the Intel Ireland's Mini-Scientist Regional Finals and WON!! They are now through to the National Finals which are due to be held in the The Helix in Febraury 2017. Well done girls, you have done yourselves and the school very proud!